Although this circus mural was painted in Hamilton, Ontario, I also sell adorable kids wallpaper murals that ship for FREE within Canada and the USA (including some circus designs…keep scrolling below to see them!). They are super easy to hang and when you’re ready to redecorate, they’re completely removable. Thinking of adding a circus mural to your space? Here are some photos of a mural I painted to give you some inspiration. 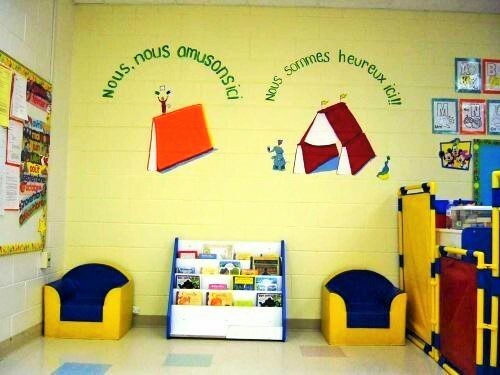 A french daycare was looking for ideas for wall murals to go in the reading section of their pre school. The teachers knew they wanted animals but needed more inspiration. 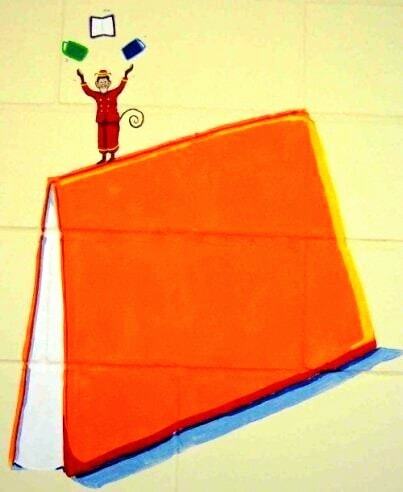 I thought a circus themed mural using books would be a fun way to spruce up the little nook. 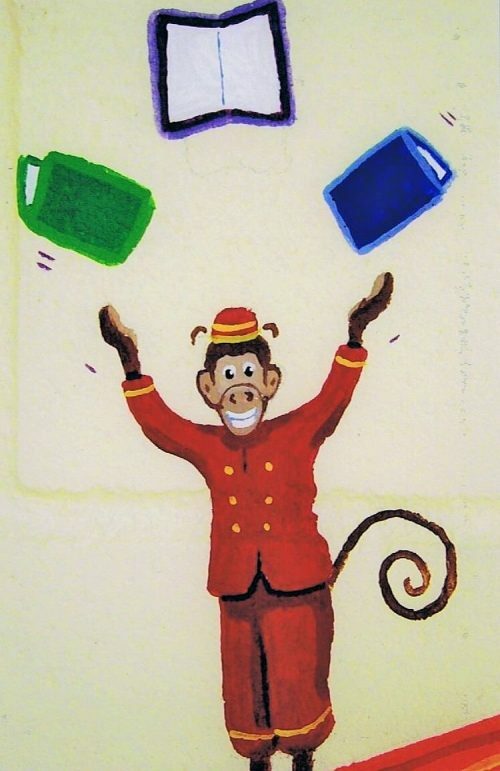 I painted a monkey juggling books while walking the spine of a book, like a tightrope. 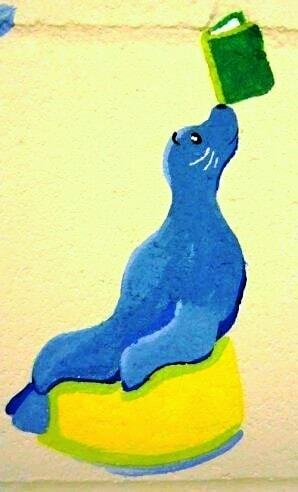 I painted an adorable seal balancing a book on his nose. 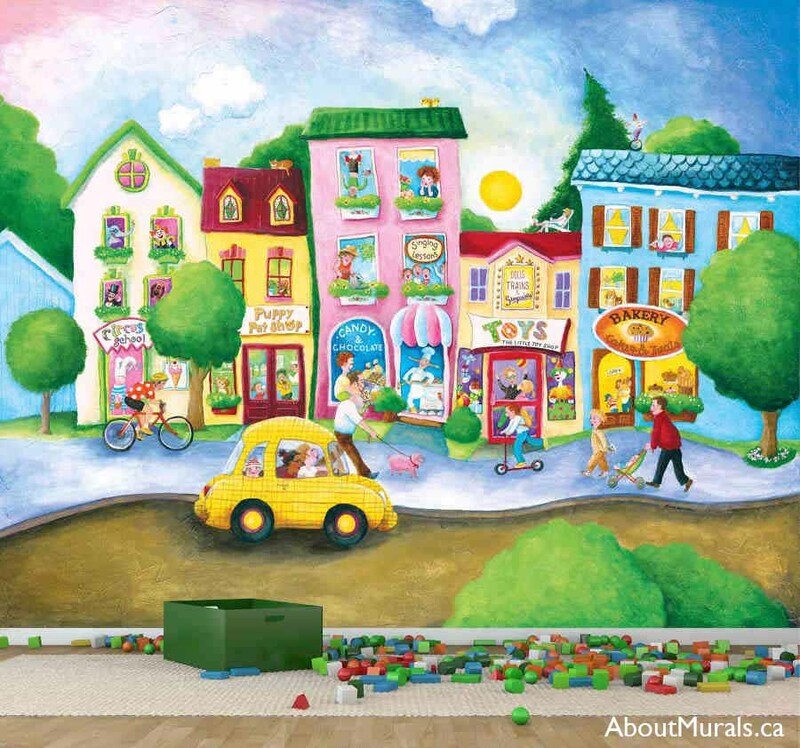 I only use non-toxic acrylic paint and no-VOC latex paint for my murals, so it’s safe for your kids to play and sleep in their rooms – even on the night I finish painting! All my wallpaper murals are eco-friendly and safe for kids rooms, too. 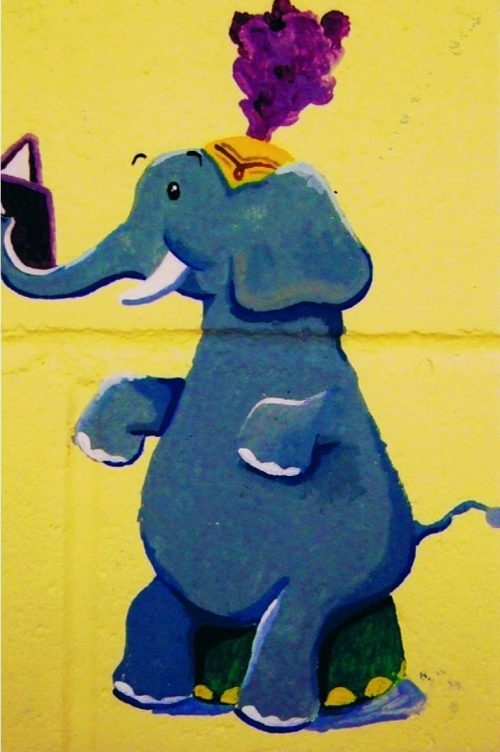 I painted an elephant sitting on a drum, next to the big top (which is a tent made of books), reading a book. Wanna Work Together? Hire Me! If you’re still thinking of a circus mural and you like my style, let’s work together! Join my newsletter community and I’ll keep you posted on all the latest promotions…and maybe even send a hot coupon!